TEDxPlymouthUniversity Videos Now Live on YouTube! All the talks from TEDxPlymouthUniversity’s February event ‘Spirit of Discovery’ are now live on the TEDx YouTube channel. 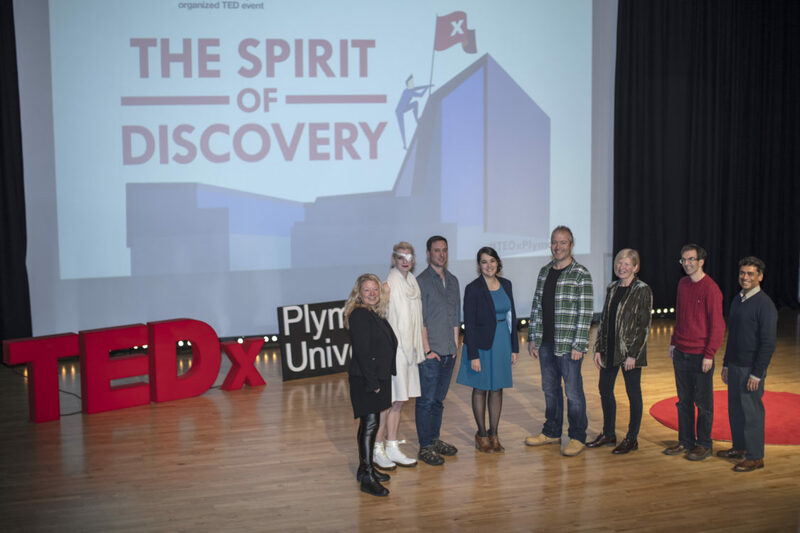 In February, the University of Plymouth hosted its third TEDx event, this time with the theme ‘Spirit of Discovery’. Organised under licence from international non-profit organisation TED, which is devoted to spreading ideas, this year’s event featured nine speakers on topics ranging from a new theory about how the universe works to the light and dark sides of emotional intelligence. As well as being seen by the lucky 100 people in the audience, the event was livestreamed for the first time, helping the speakers reach an audience in the thousands. The talks are now live on the TEDx YouTube channel, and you can watch them all in a handy playlist here. Formation Zone is one of the main sponsors of TEDxPlymouthUniversity and John Petrie, one of the team here, is the Licensee and Programme Director. If you are interested in talking at, or sponsoring, a future TEDxPlymouthUniversity, please email john.petrie@plymouth.ac.uk.